This book acts as a kind of “prequel” to Beyond Metabolism. 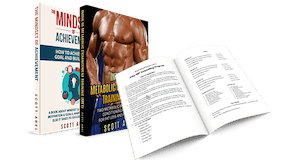 In Understanding Metabolism Scott Abel discusses the truth about metabolic damage, the truth about calorie counting and calorie math, and what will and what won’t lead to a healthy, robust metabolism and a fast metabolism. Scott argues that it is about thinking long term. If you’re looking for sustainable weight loss, metabolism is about much more than a day in, day out calculation of “calories in/calories out,” especially when you look at it over a period of weeks and months. What realistic protein needs are if you’re weight training. Why diets fail when they don’t take metabolism into account. What causes metabolic damage, and the reality of repairing metabolic damage or healing a broken metabolism. The truth about cardio, and why more cardio can actually make you fat. How less exercise can lead to a faster metabolism. Why the current “calorie-burning” focus of exercise is flawed and ineffective for optimal metabolic function and weight loss. What kinds of exercises and training is best for an optimized metabolism. Is caffeine okay? What about artificial sweeteners? Should I be aware of gluten? The book also has in-depth discussions of current trends like Paleo Dieting, the DNA Diet, and more. Learn the proper diet for a fast metabolism and health, longterm metabolic function. Learn what you need to know to lose weight… and KEEP it off. Get Understanding Metabolism now.